CHILDREN OF THE GRAVE 2 OFFICIAL SELECTION OF THE GIFF. March 30, 2012. As an Official selection to this years GIFF, a theatrical world premiere for COTG2 will be held at the Gasparilla Film Festival in Tampa Bay, Florida. For more info www.gasparillafilmfestival.com. 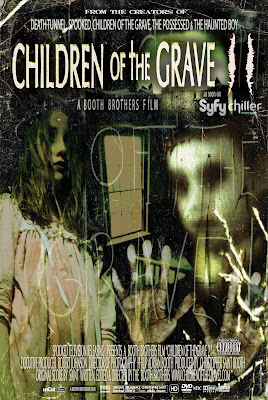 BOOTH BROTHERS FILM MARATHON ON CHILLER CHANNEL. March 11, 2012 Chiller channel cable network will air three of the Booth's paranormal films, Spooked, The Possessed and Children Of The Grave back to back. Check your local cable listings for channel and showtimes. 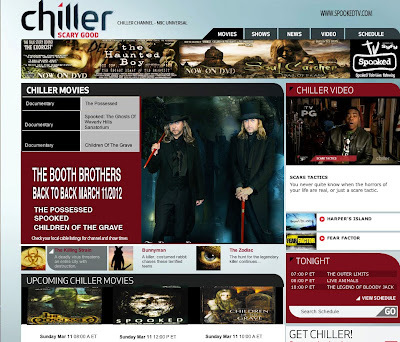 For more info www.chillertv.com. BOOTH BROTHERS LIVE TOUR 2012 & REALITY SHOW. 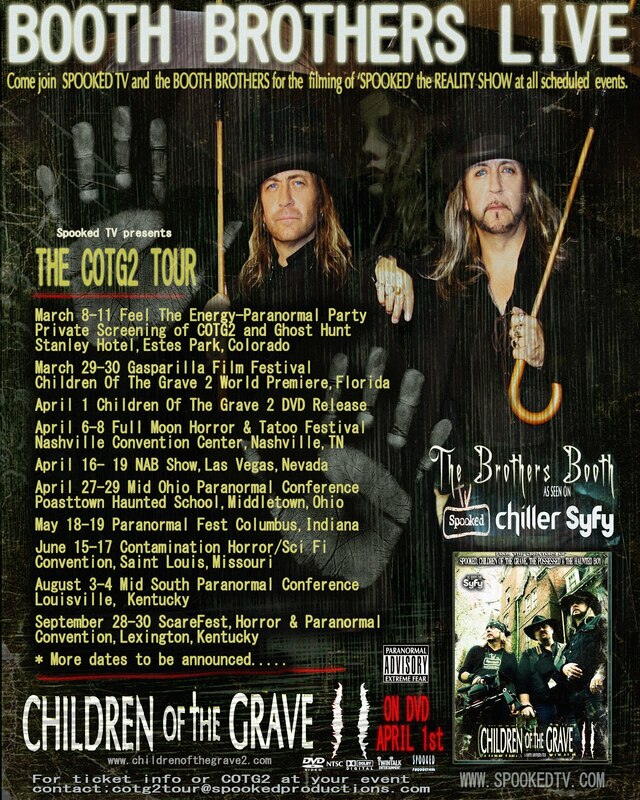 The Booth Brothers have hit the road to promote their latest release CHILDREN OF THE GRAVE 2 as well as film their upcoming reality show for network television. 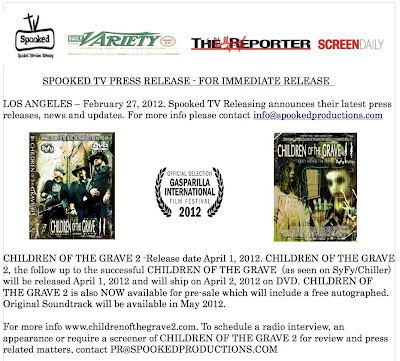 Come join us as Spooked TV and the Booth Brothers will be filming ‘SPOOKED’ the REALITY SHOW at all scheduled events. JOIN OUR MALING LIST & WIN!